Opening up to the possibilities.. Living lightly, close to the earth…. having friends and neighbours over for drinks! 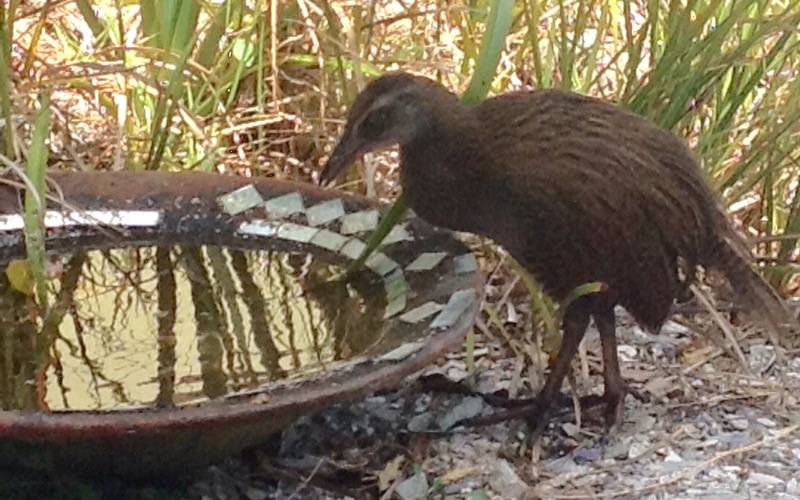 The Weka is New Zealand’s native woodhen, they were once abundant but are now in retreat to the less inhabited areas. They are flightless but quick runners with an excellent sidestep. Embodying curiosity and courage, they often venture inside the cabins and run off with anything they can uplift! Previous: Previous post: I’ll meet you There….